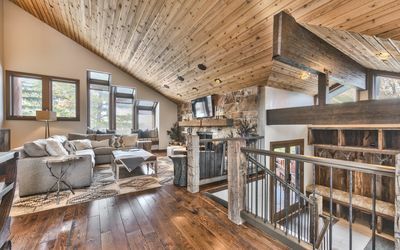 This stunning Deer Valley Aspen Hollow home offers four bedrooms and four and a half bathrooms spread over three floors. It will easily sleep up to 12 guests in stunning luxury. 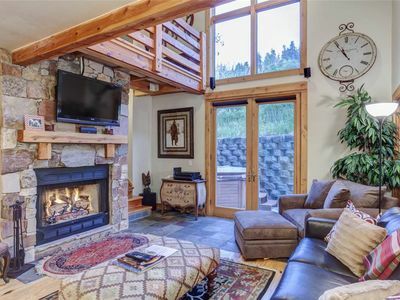 The interior of this home is a warm and wonderful combination of wood and stone touches. 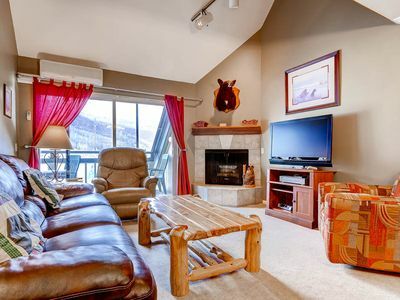 You'll be completely surrounded in mountain style elegance. 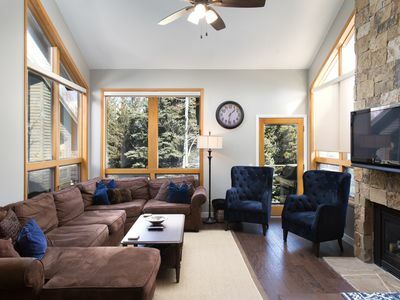 The main living room offers comfortable furnishing surrounding a stone fireplace and a large flat-screen HD Smart TV. 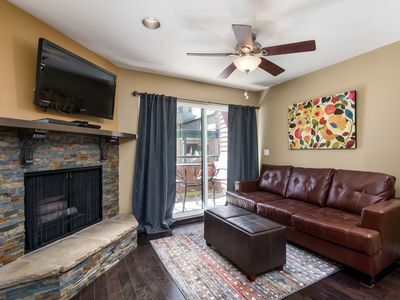 You will also find a second living room/family room on the middle level of the home that offers a fireplace and flat screen TV. The fully-equipped gourmet kitchen is a chef's dream. You'll find gorgeous quartz countertops and stainless steel Thermador appliances, including a 4-burner gas stove, alongside stunning cabinetry. 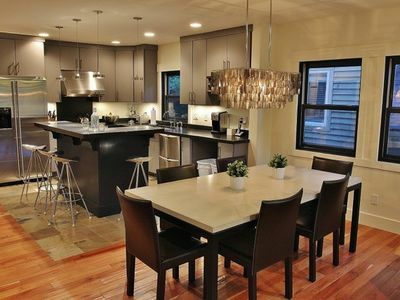 There is an eat-in kitchen island, as well as a separate dining area. 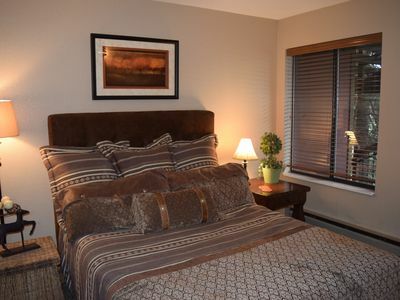 The grand master bedroom is a gorgeous, peaceful space with a king bed and a private full bathroom featuring a separate tub and shower. 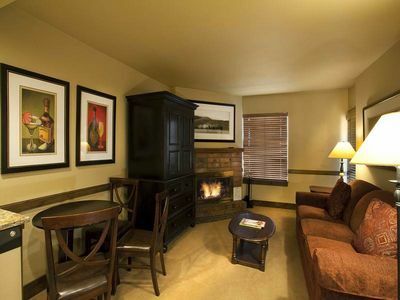 The room also boasts a warm stone fireplace and an HD Smart TV. 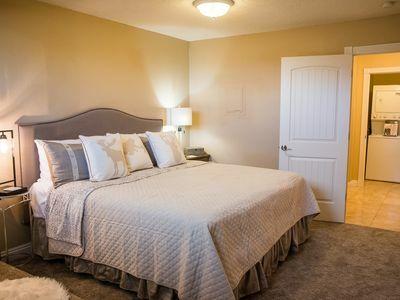 On the lower level, you'll find another master bedroom with a king bed, full bath, fireplace, and HD Smart TV. 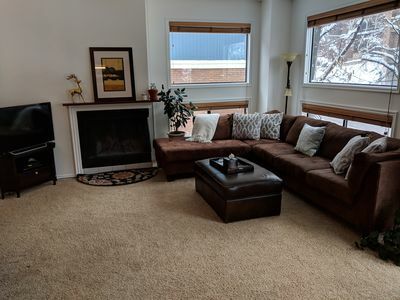 On the middle level are two bedrooms. The first of these offers four twin bunk beds and a full bath. 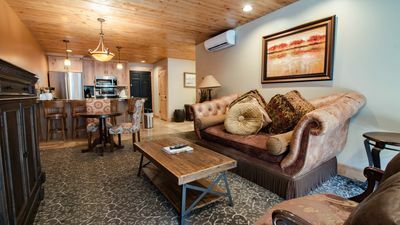 The second has a two twin beds and a full bathroom. 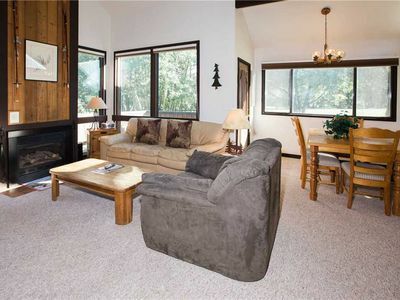 For even more sleeping space, there's a queen sofa sleeper in the second living room. 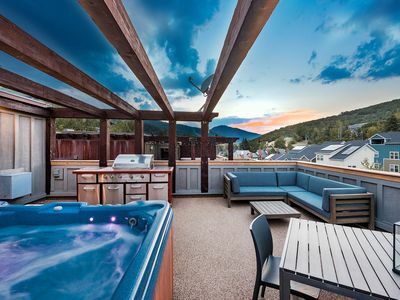 Step out onto the deck where you'll find a gas barbeque grill, patio furnishings, and even a six-person hot tub. 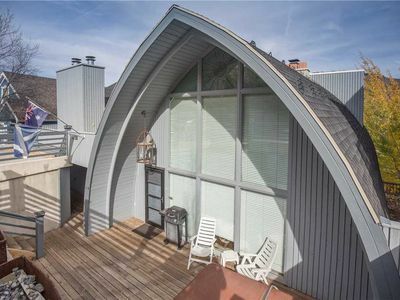 It's a great space to enjoy the surrounding views. 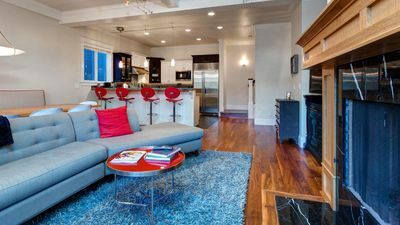 Other conveniences include a full laundry room, a two-car garage (with additional driveway parking), and Internet access. 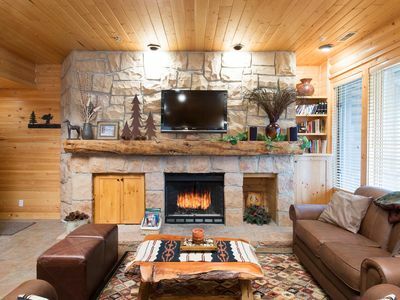 And don't miss the front entry that has a boot warmer that can hold up to 15 pairs of boots. 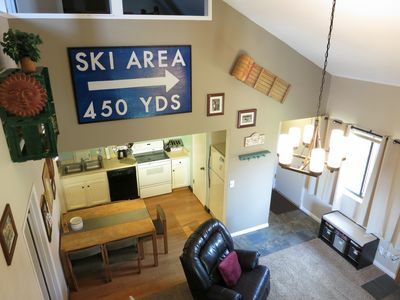 The home is located on a trail that provides ski access directly to the Silver Dollar and Last Chance ski runs, so you can easily get your ski day started off right! 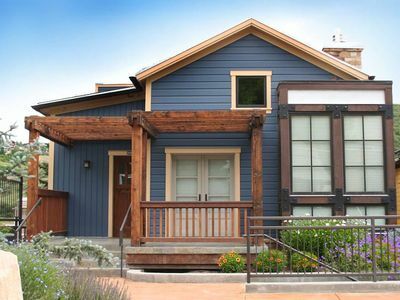 You'll also be just a short walk away from Silver Lake Village, where you'll find some terrific shops and restaurants. 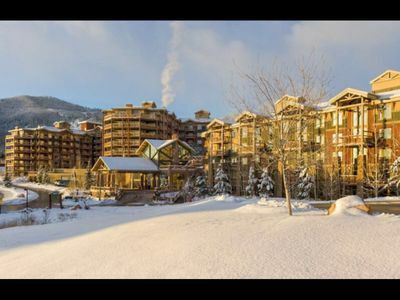 This home is the ultimate in Deer Valley luxury! 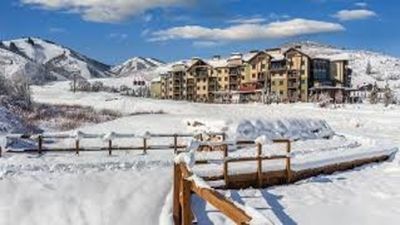 Wyndham Resort at the Canyons! Ski in . . . Ski out! Your own Gondala!